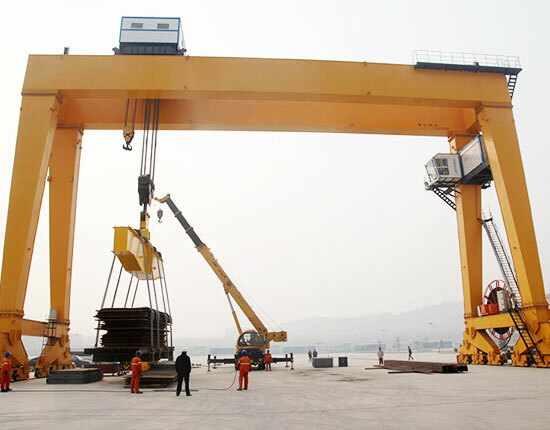 Single girder gantry crane is usually regarded as a light duty gantry crane due to its single beam structure design, widely used in outdoor workplaces such as shipyard, port, workshop, warehouse and quay to load and unload materials. 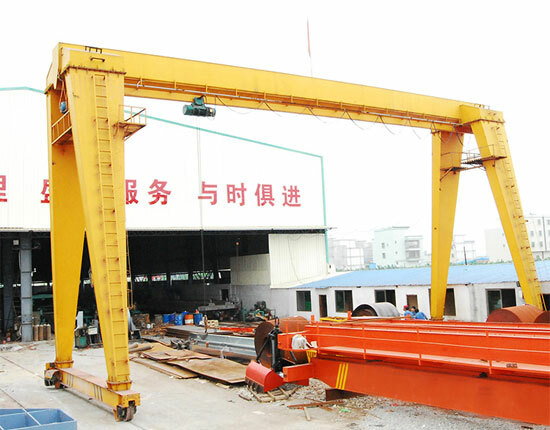 Unlike single beam overhead crane, its main beam is supported by legs, making it like a gantry frame. Both ends of main beam can have a outrigger cantilever beam in order to expand working area. 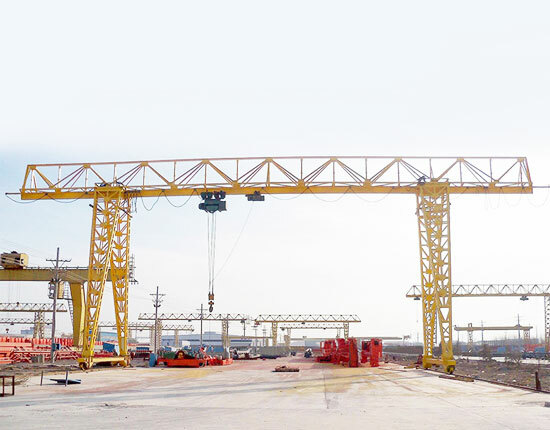 The gantry crane runs directly on the track of the ground with characteristics of high site utilization, large coverage range, strong versatility and wide application. Ellsen has specialized in manufacturing gantry cranes for over a decade. 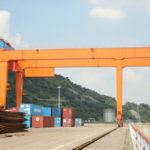 We supply different types of single beam gantry crane, such as full gantry crane and semi gantry crane in terms of leg structure, container gantry crane, shop gantry crane, port gantry crane in terms of application. 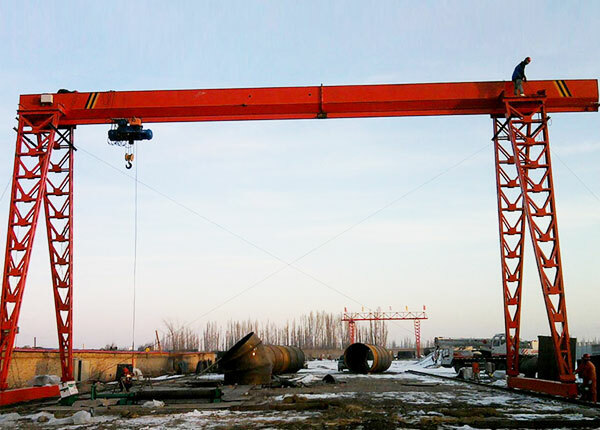 Contact us now to find the best crane gantry for your need. 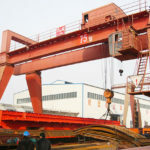 We offer various types of single girder gantry cranes to meet your unique demand. Our single girder crane typically comes in four models, and each of them is available in multiple designs. Served as a small gantry crane, MH type crane is the most commonly used single girder gantry crane with lifting capacity not more than 20 ton. This gantry lifting equipment is equipped with CD1 or MD1 electric hoist and features simple structure, low cost, light weight and convenient maintenance. Due to the low working level, this crane cannot be used in places with heavy and frequent lifting requirements. MH single girder gantry crane has three operation methods including pendant control, wireless remote control and cab operation, or you can choose two of them to make a combination. The steel structure of the crane can adopt box type or truss type according to your outdoor working environment. 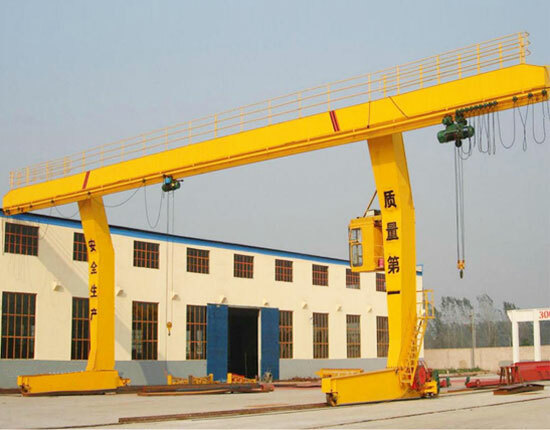 BMH semi gantry crane is generally the same with MH crane except for the lack of legs at one side of crane. This single leg gantry crane is designed for common use and features smaller capacity compared with MH gantry crane. Its capacity is usually not more than 16 ton. 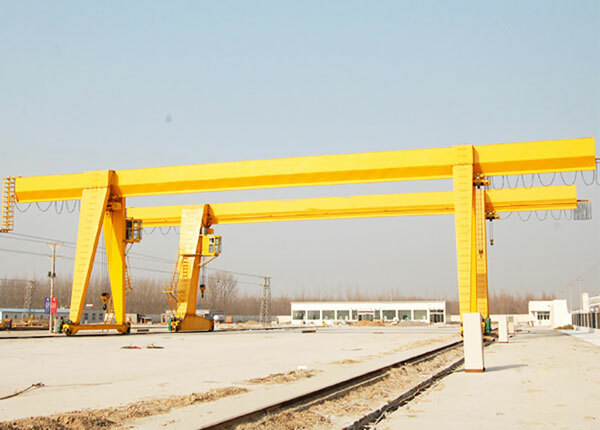 L type single girder gantry crane is more often preferred when long items are required to transfer through legs, so it is widely used in open goods yard and railway. Because of its structural characteristic, given a required lifting height, the whole crane height can be lowered compared with other gantry cranes, thus save a lot of cost. It also has advantages of light weight and small wheel pressure. European gantry crane is a high standard crane with advanced design and technology, and it is equipped with ND electric hoist. The steel structure usually adopts box type. Besides, truss form is available for outdoor working environment with large winds, which can effectively reduce the wind resistance. When looking to buy electric single girder gantry crane, you should take a number of requirements into consideration so as to make the best choice. You should think about your requirement for crane specification including the capacity, span, lifting height, lifting speed, work duty, hook approach, runway length and more. Consider operating environment and other factors involving in the design of runway and crane structure, as we have multiple types for your choice such as rail mounted, rubber tyred type, box type, truss type, with cantilever or without cantilever. What control methods are required, pendant control, remote control or cab operation? Consider crane safety, maintenance and their regulations you need to follow. Consider other necessary components such as limit switch and warning horns. 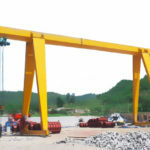 Which single girder gantry crane is right for you is highly dependent upon your requirement for crane specification, application, control system and other factors. To know more, consult our sales representatives and engineers online, and we will help select the most suitable gantry crane for your application and offer you a best gantry crane price. 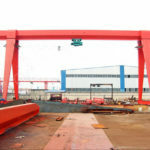 What Benefits Can Single Girder Gantry Crane Bring to You? 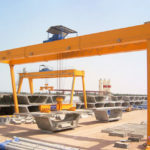 As a highly efficient gantry lifting equipment used in outdoor places, the single girder travelling gantry crane brings numerous benefits to users. The single girder crane has simple structure, and it mainly consists of bridge (main beam), legs, electric hoist, electric control system, crane driving device and the lower beam, which makes it easy to install and maintain. 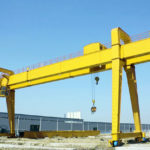 The gantry crane can make the most of outdoor workplaces and achieve a high utilization. It can expand lifting coverage freely and readily. The single beam gantry crane has strong adaptability and versatility. 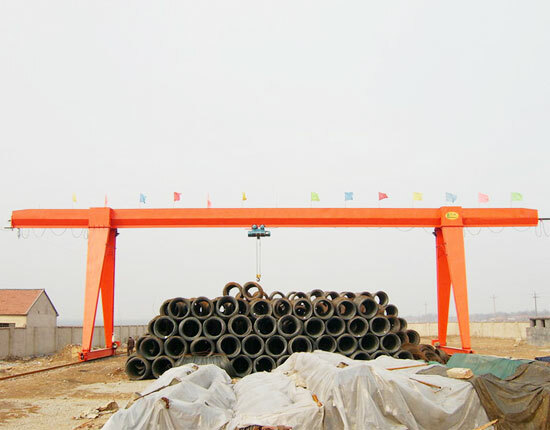 Our gantry lifting equipment has good and durable performance as we strictly control the crane quality and adopt high quality wear resistance parts. The single girder gantry crane has rather low cost and high working efficiency. It can undertake massive loads in the workplaces and help enhance your productivity. 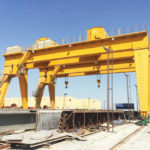 Among so many single girder gantry crane manufacturers, we are the standouts in that we constantly provide superior quality gantry cranes and best service for our clients. We aim to bring the maximum value to customers and save cost for them. In return, we gain a good reputation. 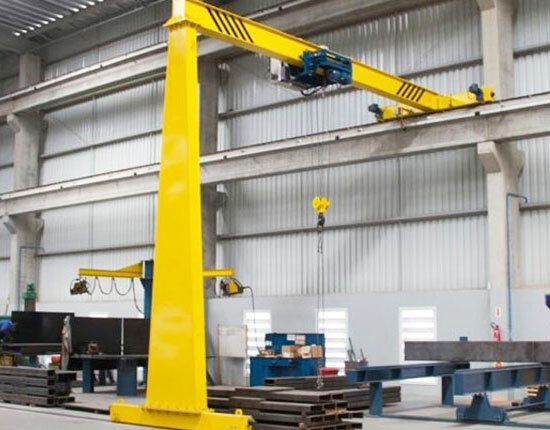 Besides gantry crane, we offer other types of lifting equipment such as overhead bridge crane, jib crane, electric hoist, and winch product for your wide range of applications. For gantry crane service which customers may concern the most, we offer a full service including pre-sale, sales and after-sale services. 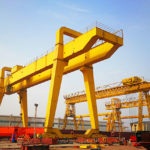 We have professional engineers and skilled technicians to provide gantry crane installation, inspection and maintenance, and we promise to make a quick reply to clients within 24 hours to help solve their problems. Our gantry crane warranty lasts 12 months. If you want to learn more about our single girder gantry crane and other material handling solutions, please contact us directly or leave us a message, and we are pleased to help select the best gantry crane for you!